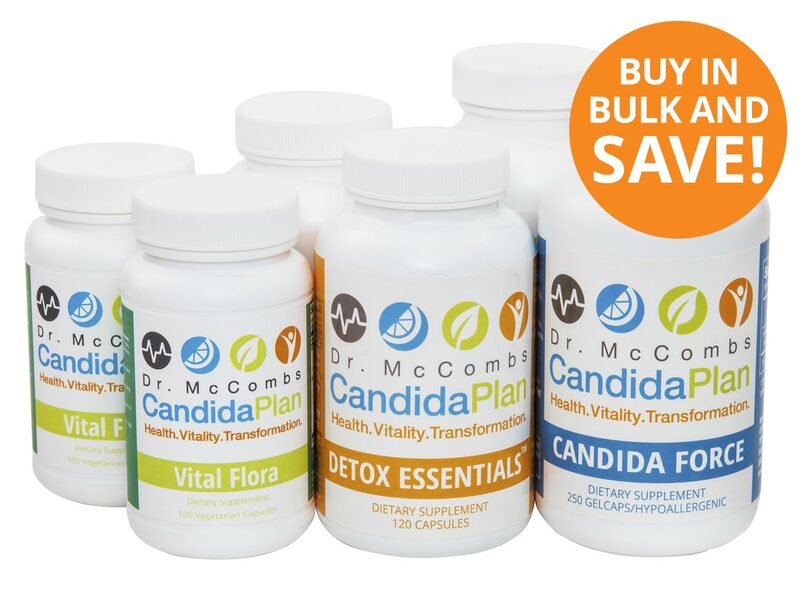 The Candida Plan is a 4 month (16 week) plan, using 3 supplements. Buy in bulk and save! 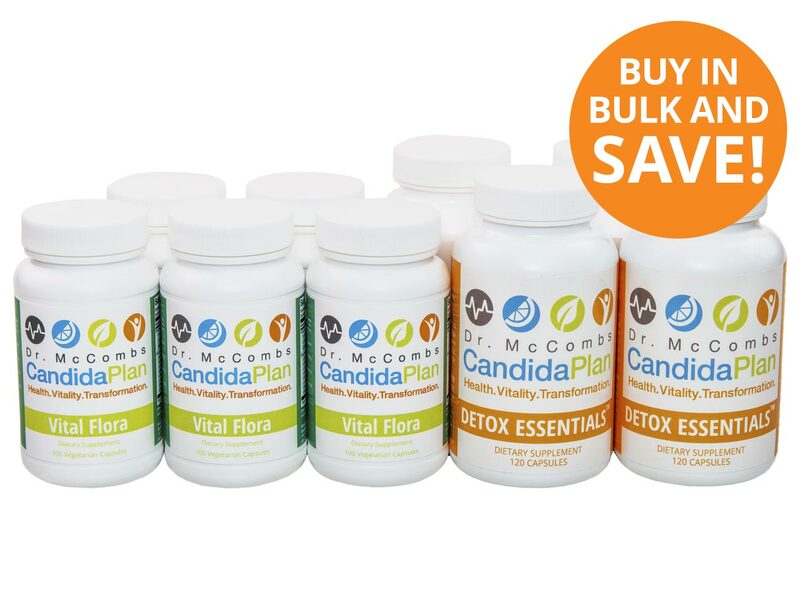 Candida Force (4 bottles) • Detox Essentials (8 bottles) • Vital Flora (7 bottles). Includes a free consultation with Dr. McCombs! Read more about the importance of sweating during The Candida Plan here. 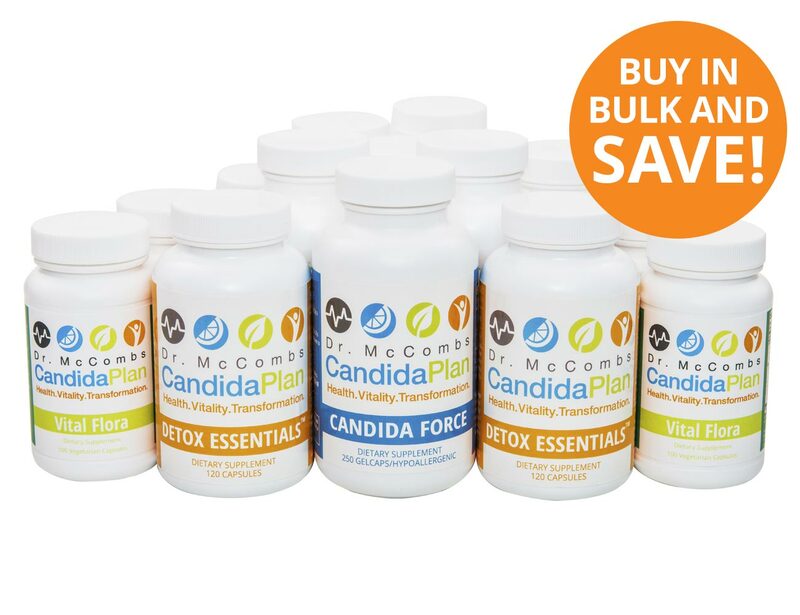 Important: If you’re not going to sweat DO NOT start The Candida Plan.